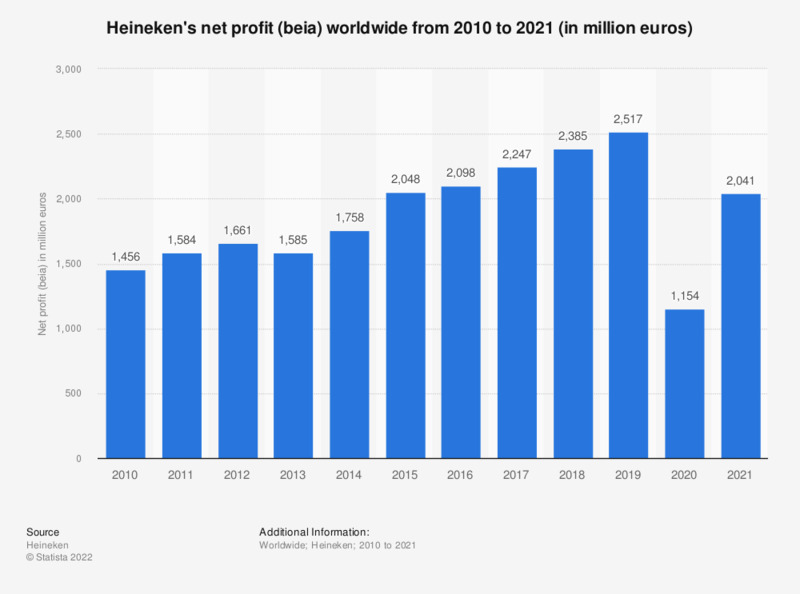 This table shows Heineken's net profit (beia) worldwide from 2010 to 2018. In 2018, Heineken's net profit amounted to approximately 2.42 billion euros. Heineken is a globally operating brewery, based in the Netherlands.